The common problem you face using Wi-Fi connection is the security related to it, many people can connect to your Wi-Fi if its open and on the other hand sue some black hat tools to hack your Wi-Fi network and use it with your consent. Well that can actually cost you a lot if you are using a metered connection but in case you are on the unlimited plan you still can loose a lot of speed. Now today we will show you an easy and awesome trick that can help you to keep all those unknown devices to stay away and not use your internet connection. We will be using an inbuilt feature of your modem that can filter all the MAC Address and allow only the one’s you have entered to use your Wi-Fi connection. 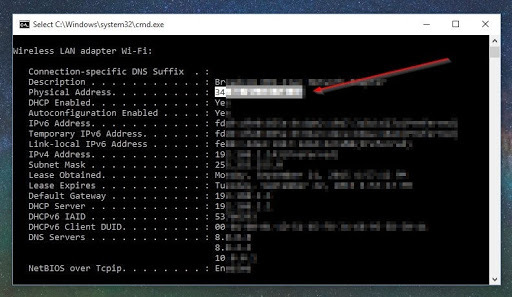 If you want to find the MAC address for your computer you can simply open the CMD dialog by press Ctrl + R and entering CMD to open the command prompt. Inside command prompt you have to type ipconfig /all and press enter. 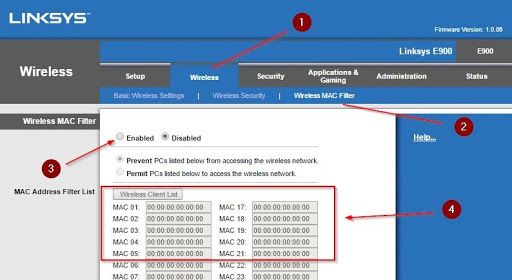 You will see a lot of text, just under Wireless LAN Adapter or Ethernet if you are connected to Ethernet cable, you will see the Physical address, that is your MAC Address, copy that. On Android and iPhone you can navigate to settings and under About menu you will find the Wi-Fi Address option, that is your MAC Address. Now usually every modem has this feature of allowing only certain MAC Address to access your Wi-Fi connection. Now first you have to look how many devices are actually eating up your internet, to do that you can use the DHCP Client Table feature. Connect to your Internet and then open up your modem admin page, that could be192.168.1.1 or 192.168.0.1, if the page is not opening check the page address by opening command prompt and typing ipconfig & pressing enter. It will show some address the Default Gateway address you can see if your routers page address, just type that in browser. Now if it asks for username and password and you have not changed the username will be admin and password could be blank or admin too. Now you need to enable this feature and then add the MAC address for all the devices that you want to allow to use your Wi-Fi or to prevent them from using. Just save your settings and restart your router for the settings to take effect. So guys this ends our another tutorial on how to prevent unauthorized access to your Wi-Fi connection, now you can be sure that your bandwidth is not sucked by any unknown stranger. Have fun and enjoy this tutorial.